Live and Die with a Dry Fly! When I think about the many traditions immersed in the fly fishing world, images of dry fly fishing for trout quickly come to mind. Dry fly fishing is truly an artistic pursuit. 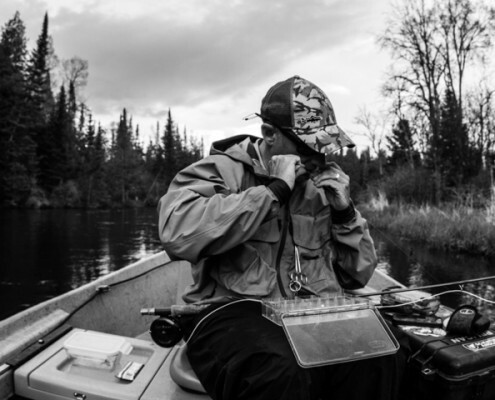 It is typically the first of many fly fishing experiences a trout angler will encounter. Dry fly fishing is the most enjoyable and exciting type of fly fishing available to an angler today. The weather, the scenery, and the relaxing pace of life that transcends during the summertime will only amplify your time on the water. Now factor in the nervous anticipation of a hatch and the visual aspects associated with a fish rising in rhythm. This is what gets the adrenaline cranking! Opportunities for dry fly fishing in Michigan are excellent. Most of all we are blessed with numerous miles of quality trout water. Most of our hatches occur during the peak times of May and June. dry fly fishing in Michigan is not limited to this time frame. 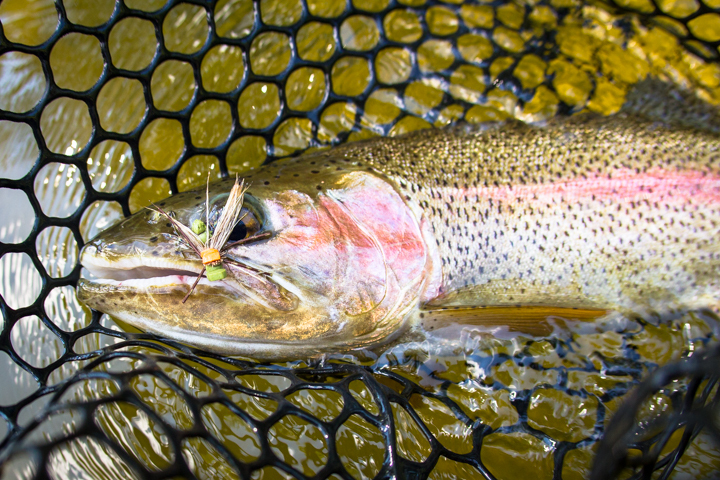 Dry fly success is possible throughout the entire trout season. 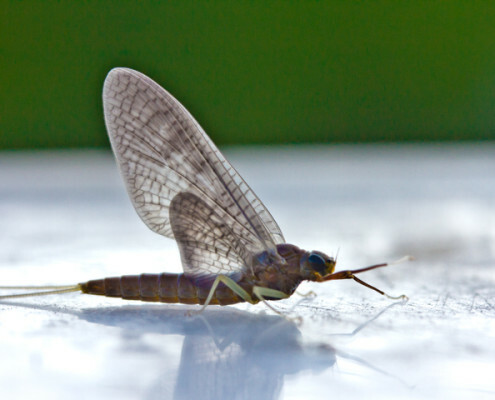 Michigan trout streams have many hatches that attract surface feeding trout. Dry fly fishing in Michigan really provides us with two distinct seasons in my opinion. 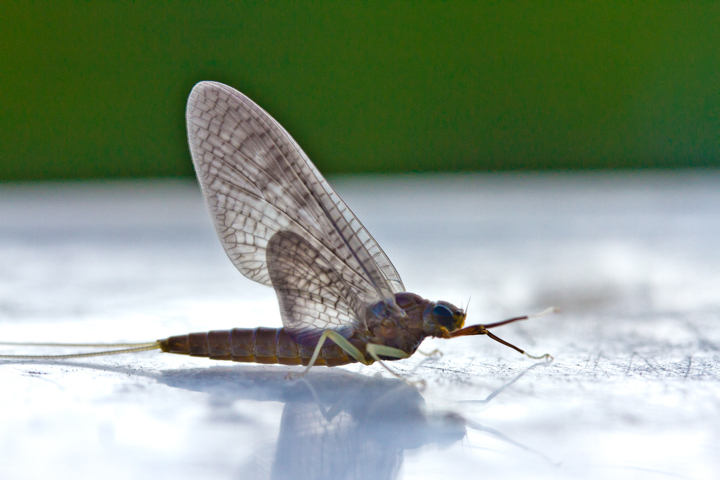 The first would be the “Hatch Matcher” season where 90% of our aquatic hatches will occur. This is the peak dry fly fishing season, kicking off with the Hendrickson hatch and winding down with the end of the Hex hatch. As April begins to transcend into May look for the Hendrickson’s, Mahoganies, Black Caddis, and Sulphurs to attract attention. 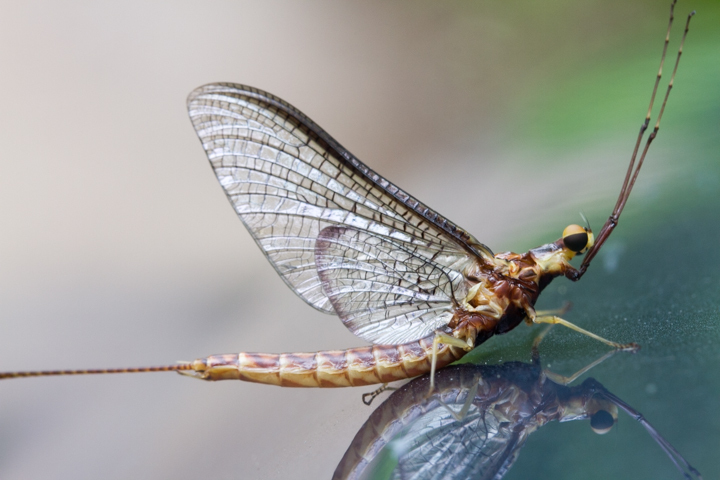 In late May we leave the realm of the dainty mayflies and enter the world of the “Big Bugs”. 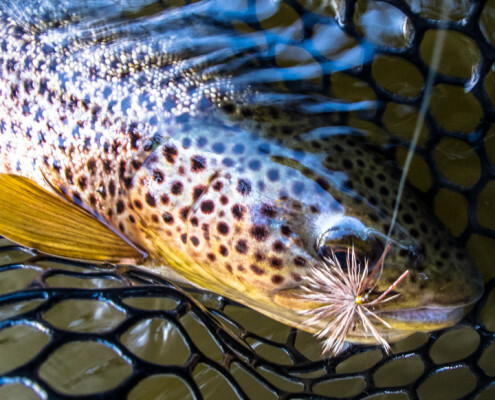 Hatches of Brown Drake, Isonychia, and Hex constitute a turning point for dry fly fishing in Michigan. The ending of the Hex hatch culminates the peak of our “hatch” fishing and the start of our second period, “the Terrestrial” season. If you love explosive top water eats, then fishing larger hopper/ant patterns will provide you some exciting fishing throughout the late season. Gearing up for dry fly fishing in Michigan is pretty simple. A typical outfit includes a 9’ 5wt or 6wt fly rod with a medium to fast action taper. Keep the reel choice simple; an expensive drag system is not required. While choosing a fly line I would consider either a Double Tapered or Weight Forward Floating Line to match your rod weight. A good choice is the MPX by Scientific Anglers. If the streams you fish allow for substantial casting distances then I would opt for the Weight Forward Lines. For the majority of our rivers a Double Taper Floating Line is more effective over shorter casting distances of 35 feet or less. It will still deliver the home run cast if needed. 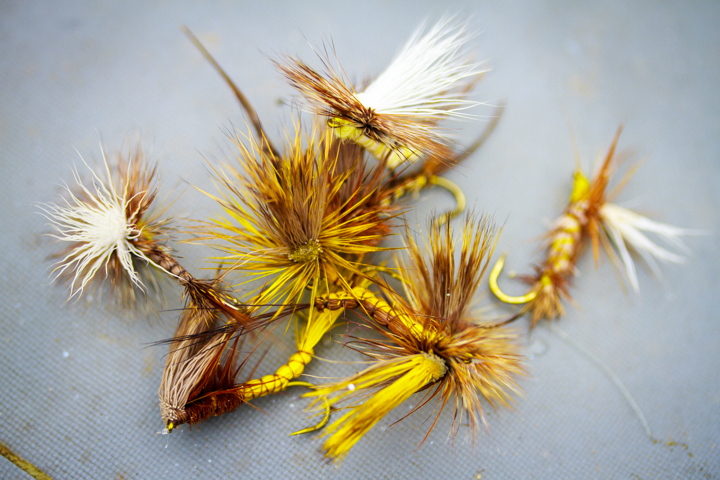 Choosing Leaders for dry fly fishing should be kept simple as well. Look for tapered monofilament leaders in 7 1/2 to 9-foot lengths with tippet designations of 2x to 4x. Tippet material should also be monofilament and focus on tippet designations of 3x to 5x. Gauge the tippet size to the size of the fly you are fishing. Avoid fluorocarbon leader material as it sinks. 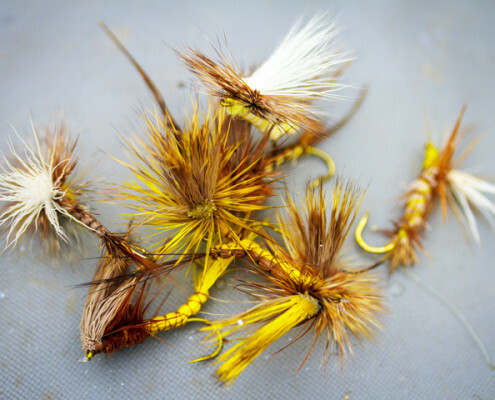 Flies like the Adam’s, Borcher’s Drake (video to the right), Stimulator, and Ed McCoy’s All Day and Boondoggle series from Montana Fly Company are all great searching patterns. Check out this blog post where I explain all of the basic patterns you need for Michigan Dry Fly Fishing. 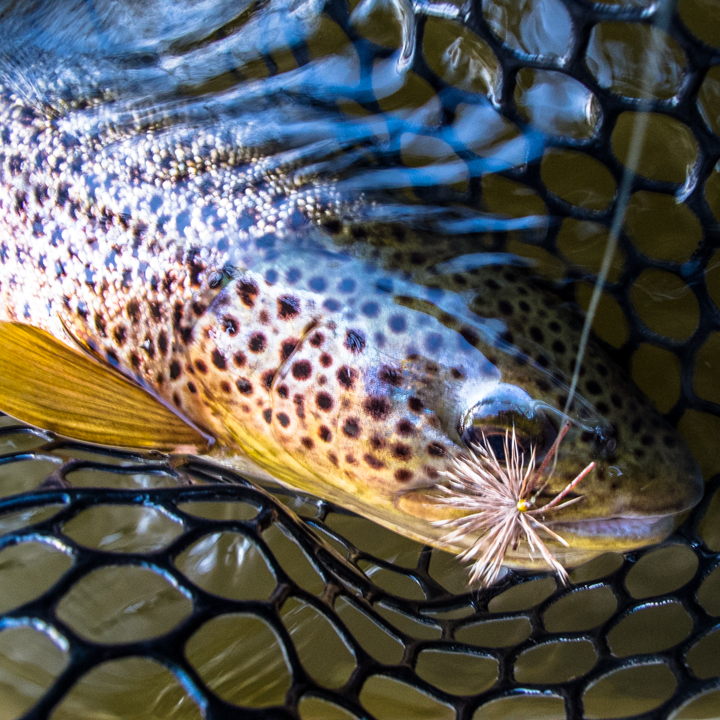 When dry fly fishing in Michigan focus on the primary hatches initially and over time you can expand your fly selection without adding unnecessary confusion into your choices. Focus first on having effective patterns that match the size and silhouette of the bugs you are imitating. More elaborate creations should be reserved for cautious fish that become selective in their feeding behaviors. Presentation, presentation, presentation! No matter how good your dry fly offering looks, if it’s not presented properly it wont perform. Remember to take your time when approaching a feeding fish and study the rises and the surrounding currents. Devise a plan of attack and whenever possible present your fly from upstream of your target. 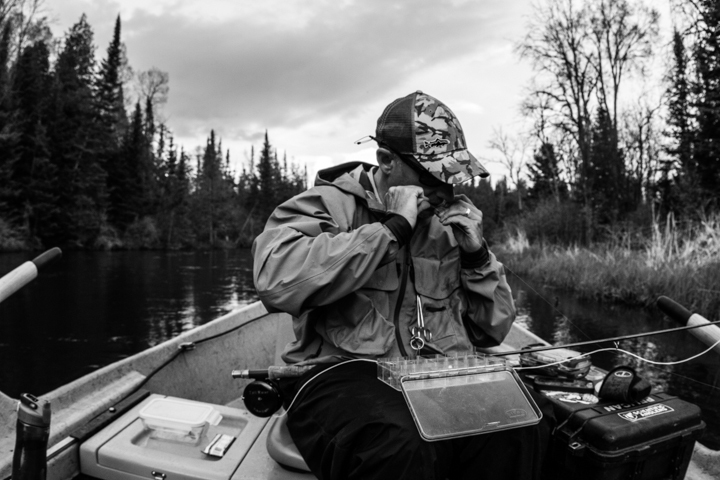 Dry fly fishing in Michigan can be as technical as any place in the world, but it’s not impossible. Remain a patient observer and you will be rewarded for your attention to detail. 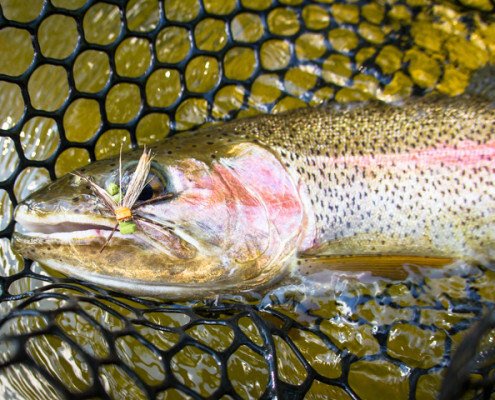 There is nothing more addictive than watching a large trout crush a dry fly. The addiction begins once you find a rising fish and with your target acquired you now become the hunter. The hunt is on as you approach your quarry, observing every behavior and studying everything on the water’s surface. Putting the puzzle pieces together can be as simple as matching your fly to the obvious. However, sometimes you need not only to figure what the fish is eating, but also what level is the fish feeding at. These are a few of the challenges that make dry fly fishing in Michigan a thought provoking yet rewarding experience.